It’s that time of year again; the decorations are up, Michael Bublé is on repeat, and there are mince pies coming out of our ears. It’s beginning to look a lot like Christmas! But what does Christmas really look like? There are more definitions of what makes a ‘traditional’* English Christmas than there are children on Santa’s naughty list. One thing we appear to agree on, however, is what a German Christmas should look like. The romantic traditional German Christmas market has infiltrated English culture, becoming a staple of most cities’ festivities, and bringing with it Glühwein, beer, Bratwurst, sweet treats, and merriment (and, in the case of Birmingham’s market, a singing moose head!). Standing in the middle of Birmingham’s German Christmas market, surrounded by crowds of people consuming German cuisine and buying gifts, I am reminded of a ‘classic’ paper by Peter Jackson (1999). Although 15 years old – not quite as old as the market itself – Jackson’s observations on commodification and consumption manifest in this commercial celebration of German culture. As Jackson (1999) argues, the commodification of Christmas, as well as the general globalisation of everyday life, have been strongly criticised, contributing to the somewhat marred reputation of ‘commodification’. Since 1997, the market’s picturesque wooden stalls have spilled into Birmingham’s streets from its partner city, Frankfurt. Two recent articles on the BBC News website have, however, voiced a negative opinion of the city’s much-loved annual event. Writing for the BBC in November, Graham Young argues that despite the obvious boost to Birmingham’s economy, the city is ritually destroyed by the crowds, tourists, litter, and noise. He voices concern that in an attempt to recreate an authentic German Christmas, the traditional Nativity display is almost out of sight at the back of the Council House. At Birmingham’s market, cultural difference is commodified, commercialized, celebrated, aestheticized, and fetishized. There is a strong visual and performative element to this; stalls are designed to ‘look German’ and stall owners shout and gesture enthusiastically, adding to the already excitable and festive atmosphere. However, in a further recent BBC article, the market is criticised for not being very ‘German’. Jackson’s (1999) article raises the question of authenticity, suggesting that it is sometimes produced rather than genuine. Birmingham’s market is clearly constructed and staged to create an ‘authentic’ experience, romanticising and exaggerating the appealing aspects of German culture. However, whilst many of the workers there are not German, the stalls are all German-owned and the products sold are the same as the ones found in Germany, creating an experience as authentic as possible almost 500 miles from home. There is, however, one difference between German Christmas markets in England and the ‘real’ ones. In Germany, markets are more food-orientated, whilst in England the markets are altered for English taste, with a focus on alcohol and celebration. The market reinvents German culture, as Jackson (1999) would argue, tailoring and transforming it according to the ‘receiving’ (i.e. English) culture. Scrooge-like critics argue that adjusting the market to suit English taste makes it more enjoyable at the expense of ‘authenticity’, but is this necessarily a bad thing? Do we really want an ‘authentic’ experience, or do we just want to enjoy ourselves? 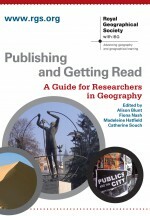 Geography clearly has an important role to play in addressing and challenging this notion of ‘authenticity’. The market’s critics are, however, only a minority. Instead of saying ‘bah humbug’ to inauthentic German cuisine, Birmingham’s German Christmas market will be as busy as ever this year. And so it should be; after all, ‘tis the season to be jolly! *I am aware this is a bit of a misnomer; many of our Christmas traditions – including the Christmas tree! – were, in fact, imported from Germany by Queen Victoria when she married Prince Albert. Perhaps we already celebrate Christmas in an ‘authentic’ German way? Jackson, P. (1999). Commodity cultures: the traffic in things, Transactions of the IBG, 24: 95-108. 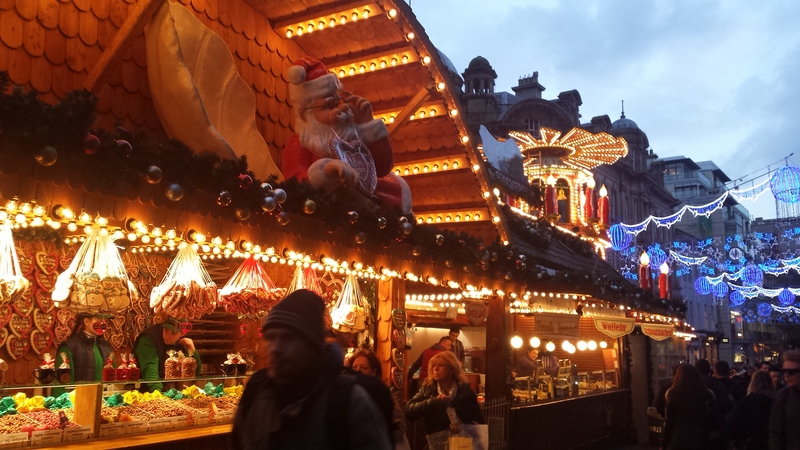 BBC 2014 Birmingham Christmas Frankfurt Market: How German is it? BBC 2014 In Pictures: How does Birmingham’s Christmas market compare? This entry was posted in Transactions of the Institute of British Geographers and tagged Authenticity, Christmas, Commodification, commodities, consumption, Cultural difference, Tradition on December 8, 2014 by k8amongthepigeons. Nigel Thrift és Kris Olds 1996-os tanulmánya (Refiguring the economic in economic geography) óta a gazdaságföldrajz egyik vissza-visszatérő témája, hogy a karácsony hogyan vált részévé a gazdaság globális szerveződésének, hogy hogyan válik áruvá a karácsony, vagy hogy a kultúra és a gazdaság hogyan kapcsolódik össze.